The world is full of people who tend to deceive others and harm others for their own good. People often fall prey to these wicked people who have no emotions over the loss of others. While on the one hand, the world is pretty much dominant by these wicked people, on the other hand, the world also comprises of innocent beings who easily fall prey to such people. For instance, who on earth would believe a man who claims that he has the ability to double the wealth using magic? You and I would surely realize that it would be a scam and such a person will flee away with all the money. But then, there are people who believed in him and gave him money and enough time to flee away! 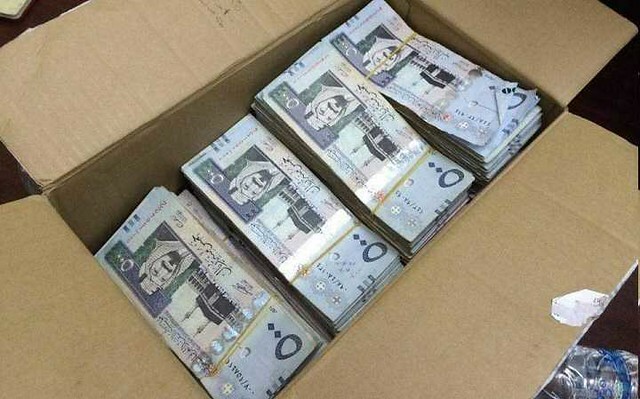 This is a recent incident that took place in Riyadh when the Riyadh’s Police was able to arrest an expatriate who was able to make as much money as SR 14 million by assuring people that he possessed magical abilities to double the money! According to the claims of Aloush Bin Fares Al Sebaei, who is the current provincial government spokesman, the expatriate would take away people’s money by claiming that he could use magic to increase their wealth. He further revealed that the Riyadh’s Central Field Committee which is missioned to catch those who practice exorcism, folk medicines, and dream interpretation, detected the criminal. Such a practice is known as Ruqya in our local language. According to the Saudi Press Agency, the man has been arrested. The Saudi security authorities were able to find him and arrest him timely. We are proud of our Saudi agencies for taking timely action against such people. We hope that all the victims get their money back and next time no one falls for such people! These people for sure have no concerns about loss of others and thereby they shall be given harsh punishments! This is not the first time people have been looting money from others by showing them a dream which would never come true. We have already shared an article about 7 famous fraud schemes where people have lost their billions of riyals.